These lyrics, painted in a mural decorating the bathroom at People’s Park, mirror the struggle between the competing interests of the different “people” of People’s Park. 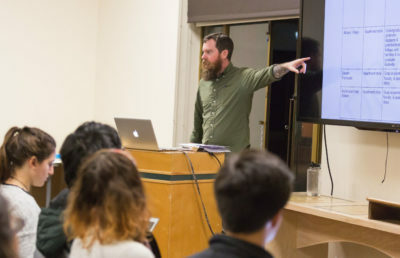 How the interests of these different stakeholders — the park’s owners, residents and surrounding community — are prioritized will determine the park’s future, especially in light of campus plans to develop student housing on the site. 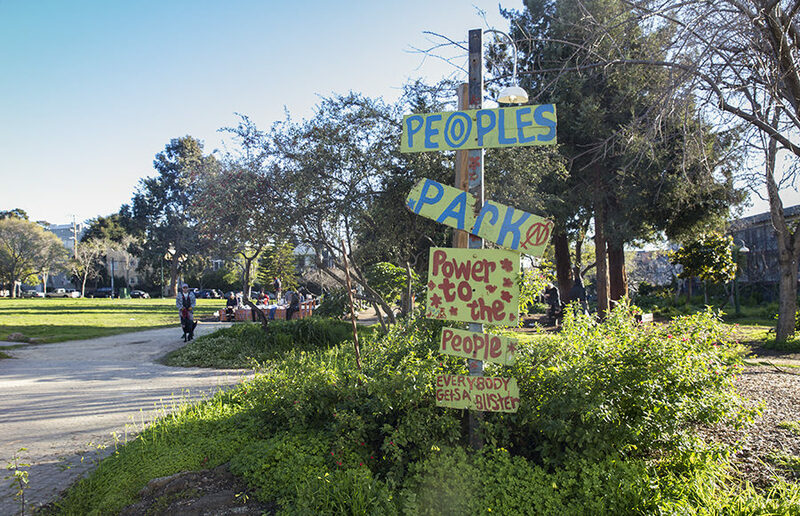 Since 1996, the UC Board of Regents has had sole ownership of People’s Park. The park is maintained by the facilities services department in the UC Berkeley Real Estate division, according to campus real estate spokesperson Christine Shaff. In January 2017, UC Berkeley’s Housing Master Plan Task Force published a report identifying People’s Park as one of nine potential sites for new student housing development, estimating that the space would provide 200 to 350 beds for undergraduate students. The plan would create an “open space” on the site and build a memorial to commemorate the park’s legacy. Several community members in the park have dismissed the details of the current People’s Park housing proposal, citing the importance of preserving the cultural legacy of the space. Historically, there have been many activist demonstrations against university development of the park, including the 1969 “Bloody Thursday” protest, a 1991 demonstration against a volleyball court development and, more recently, a 2010 89-day sit-in at People’s Park. People’s Park is treated as “any other part of campus,” according to Shaff — trash is picked up daily by the staff, and the restrooms are serviced and pressure-washed once a week by custodians and campus groundskeepers, respectively. Several park advocates, however, have alleged that the park’s daily upkeep is inadequate. During facilitated discussions with some residents of People’s Park, Vanessa Briseno, a member of the Suitcase Clinic, said that the cleanliness of People’s Park’s bathrooms was regularly brought up as a point of frustration. Briseno said that she and Suitcase Clinic members raised these concerns last year directly with Devin Woolridge, the UC Berkeley facilities manager of People’s Park, but she was unsure of what exactly had resulted from those discussions, as she does not regularly visit the park. There are also safety concerns among some living in the vicinity of People’s Park. Some UC Berkeley students noted instances when they felt threatened by park locals while passing through the area. UCPD spokesperson Sgt. Sabrina Reich said People’s Park has a history of public-nuisance and illicit-drug-use crimes. 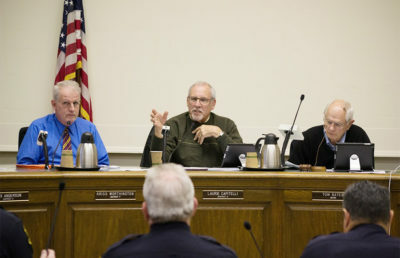 Both UCPD and Berkeley Police Department actively work to address habitual problems in the park and provide resources to park residents and visitors, according to Reich. With the approach of the 50-year anniversary of People’s Park, a number of park residents and locals expressed their desire to see the park designated as a national historic landmark rather than as a student housing site. If designated as a historical landmark by National Park Services, the park could receive protections from development and eligibility for federal preservation grants.